If you’re coming to Washington, DC and want to know what you need to pack in your suitcase for the trip, we are here to help. Don’t forget to download your free packing checklist as well. Below are some of our personal reccomendations. There are a lot of great products out there in all of these categories, so don’t feel like you need to get these exact items. However, we picked them in order to help give an example of what you should be looking for. This post includes affiliate links. Please read the Trip Hacks DC disclosure for more information. A good pair of walking shoes is critical when you visit Washington, DC. You will be doing a lot of walking, and if your feet are in pain, you are not going to have a good time. If you already own a solid pair of athletic shoes, insoles might make them even better. 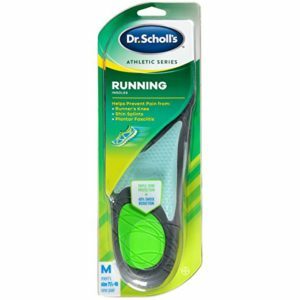 If your athletic shoes aren’t in top shape, swapping the insoles that came in them with Dr. Scholl’s could dramatically improve your footwear. We like the Dr. Scholl’s “Athletic Series” insoles because they most closely resemble the type of physical activity you’ll do on your trip. There are versions for men and for women. Make sure to double check the size before you order to make sure they will fit your shoes. The perfect backpack for your visit is one that’s large enough to hold your things, but not so big that it’s weighing your down or causing damage to people or property whenever you turn around. Forget about those packs that backpackers carry through Europe – they are way too big. 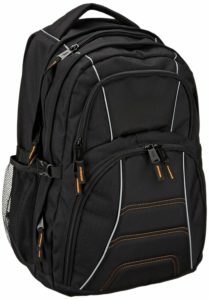 A very good low-frills option is the AmazonBasics Backpack for Laptops. Don’t get hung up on the fact that it’s marketed toward laptop users – it’s actually the perfect size for this purpose. For something a little nicer, the SwissGear Travel Gear 1900 Backpack is a good upgrade. If you want to opt for a purse instead of a backpack, you want one that’s big enough to carry your things so that you can keep your hands free. A purse with a zipper adds a bit of additional security since you’ll often find yourself in crows and among other tourists. Travelon makes a line of anti-theft purses. Their Anti-Theft Tote includes both a handle to carry it on a shoulder and a strap to wear it across your body. If you use a phone that has a replaceable battery, it’s a great idea to carry at least one extra battery around with you during the day. If you’re an iPhone user or your smartphone doesn’t let you swap the battery, a power bank is something you absolutely want to have in your backpack so you don’t waste time during the day looking for power outlets and waiting for your phone to charge. The size and capacity are usually inversely related. The more juice a power bank has, the bigger and heavier it will be. Another important consideration is the cable situation. 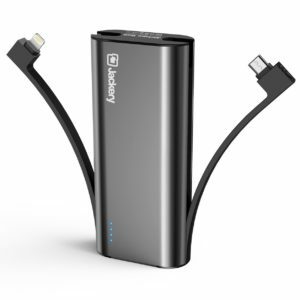 Power banks like the Jackery Bolt 6000 mAh Portable Charger have iPhone and micro-USB cables built in, so you don’t have to worry about carrying around cables in addition to the power bank itself. If you’re looking for something pretty powerful the Anker 20100mAh Portable Charger can charge most phones 5 or more times before it runs out of juice. It’s somewhat heavy at almost three-quarters of a pound, but for heavy users might be a small price to pay. Water bottles are pretty uncomplicated. The most important thing to consider is the size. You want one that’s big enough to keep you hydrated during the day, but not so big that it’s going to add an unreasonable amount of weight to your backpack or purse. We like the CamelBak Chute 1L Water Bottle – it’s simple yet solid and 1 liter is a reasonable amount of water to keep with you without getting weighed down. The most important thing to look for in an umbrella is compactability. You want an umbrella that you can easily throw into your bag or purse. Those huge golf umbrellas are not practical for this purpose and you’ll wind up awkwardly carrying around a huge umbrella all day. The Repel Windproof Travel Umbrella is our pick because it’s solid, compact and affordable. 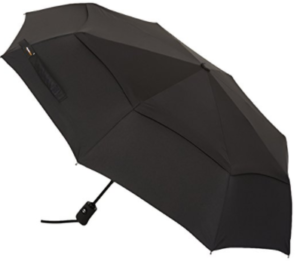 If you’re looking to go as cheap as possible, you can’t get much cheaper than the AmazonBasics Travel Umbrella for under $10. If you’re allergic to pollen or flowering trees, you want to pack something to help with that. A lot of people don’t even realize they have allergies to our environment until they arrive in the city! If you have a favorite allergy medicine, stick with what works. If you aren’t sure, make sure to pick something like Zyrtec or Claritin that does not cause drowsiness. You’re going to be out and about for long periods of time and it’s not going to be fun if you’re trying to fight off the urge to sleep.